I promise and I deliver, my loves! 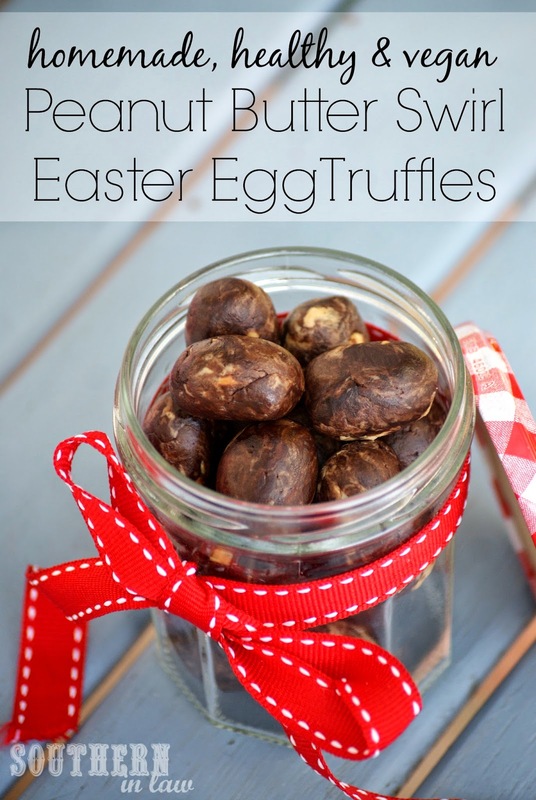 Yesterday I teased you with a picture of these Homemade Easter Egg Truffles and today I'm sharing the recipe. Now, this may be tooting my own horn a little... but this may just be the best Healthy Easter Recipe I have ever come up with. 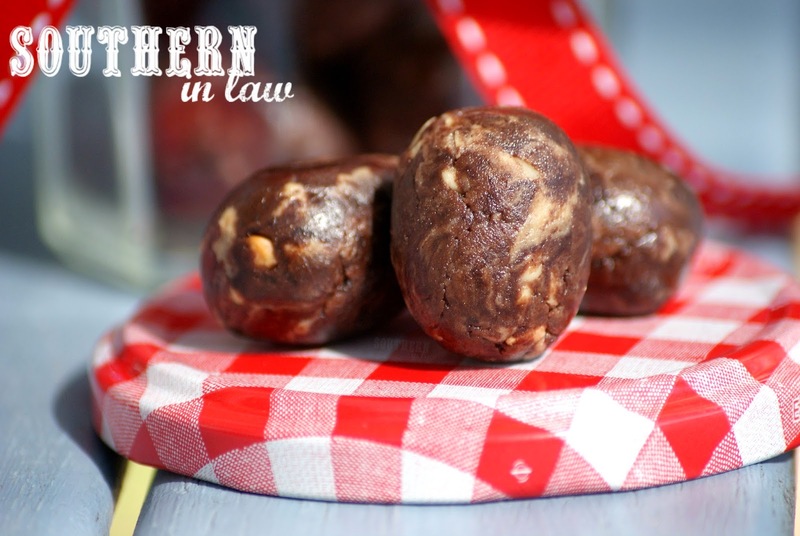 These Healthy Homemade Peanut Butter Swirl Easter Eggs are ridiculously good. They won't last long because they'll be gobbled up in an instant, but they take 10 minutes to make so you won't mind making batch after batch. As you may already know, I love me some peanut butter so naturally I wanted to create a Healthy Homemade Peanut Butter Easter Egg - but I wanted to make it a little prettier than normal. 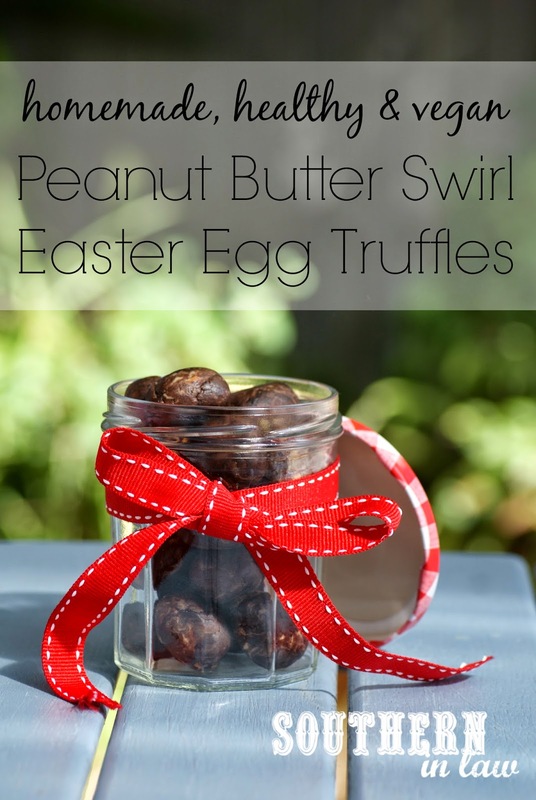 So what I came up with was a Peanut Butter Swirl Easter Egg Truffle. We're calling them truffles because they're a little bit softer than normal chocolates. They melt in your mouth and wihofwiehfowiehf - sorry... I'll stop drooling on the keyboard. 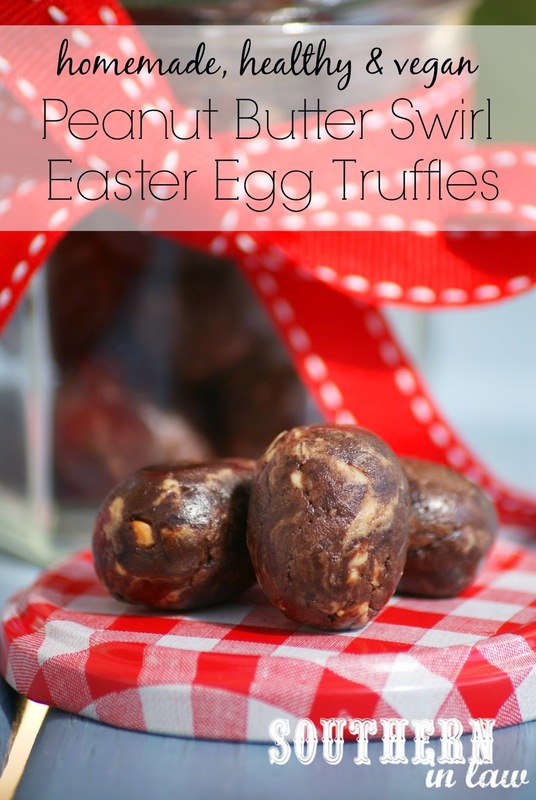 They also make awesome Homemade Easter Presents for friends as family as they're gluten free, vegan, healthy, low fat, sugar free and can even be made peanut/nut free if you switch the peanut butter for a different nut or seed butter. Giving gifts to friends with allergies can be hard but this is one recipe that makes sure everyone can be included. Just make up a batch, pop them into a jar with a pretty ribbon and you're good to go. And just in case you want to make them even prettier, I'm going to share some cute Free Easter Printables with you next week as well! Mix together your cocoa powder, vanilla and maple syrup until combined. Gently mix through your peanut butter, mixing only until the mix comes together and there are still swirls of peanut butter throughout the mix. Roll into eggs and chill in the fridge until firm (about an hour). If your mix is too sticky to roll, pop it into the freezer for ~10 minutes until chilled and firmer and then try rolling again. *You can also use smooth peanut butter, but we prefer to use crunchy so you have little crunchy pieces of peanuts throughout your eggs. For a nut free version, switch peanut butter for a seed butter such as sunflower seed butter. If only peanuts are a problem, feel free to use almond butter instead. And what Easter Egg flavour is your favourite? I used to be a Crunchie girl (honeycomb pieces in milk chocolate), then I decided I liked Top Deck (a mix of milk and white chocolate) and then as I got older I decided I liked Mint Chocolate Eggs the best. Any kind of chocolate is good with me!